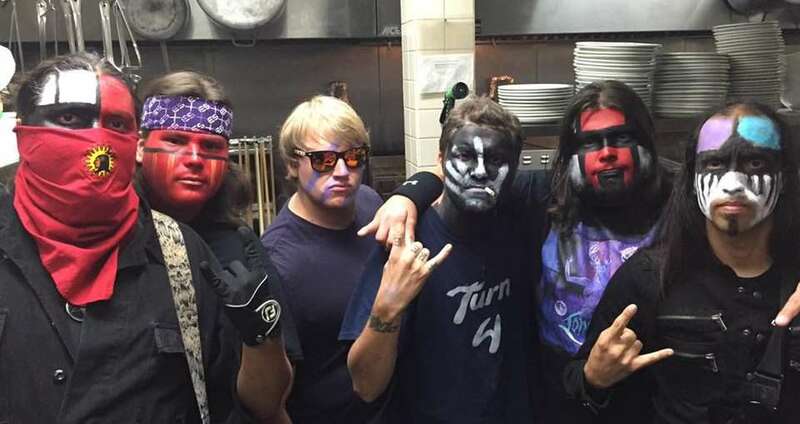 It was at Turn 4 Resto and Sports Bar last weekend that Ióhseres made its triumphant return, with the help of fellow bands Summerloss and Dumptruk. “It felt awesome, especially after all the time working on our songs and having to find new members. It was the moment where it all paid off, finally,” said Ióhseres bassist Kyle Williams. Things kicked into high gear right from the get-go with punk band Summerloss. They had a great style that kept the heart beating and made sure everyone would follow along. The rapid lyrics were fantastic as they bounced off the walls and into the ears of the crowd. The surprising tempo changes and speedy melodies were a great way to launch the Summer Takedown, as Summerloss displayed a superb intensity that punk fans crave. “It’s always nice to see bands play, especially Summerloss. Few of my band members knew about them and now we’re happy to say they will be doing more shows with us,” said Ióhseres drummer Tehosterihens Deer. “People like them and they are cool dudes! We look forward to doing more gigs with them!” added lead vocalist Nick Lahache. Next up were K-town legends Dumptruk. Brennen Deer’s drumming and Cory Phillip’s chords of raw power were welcomed by plenty of head banging and wild screams from the crowd. Wyman Mayo carried a controlled rage in his lyrics as he prowled the stage like a hungry wolf. The boys hammered energy into the building for a heart pounding, fist-pumping spectacle. Ióhseres, the final act, performed a spectacular show. As soon as they started to play, it was clear to see that they loved what they were doing. “My favourite song is Paralyzing Poison, there’s a spot in that song where we pause and come back heavy,” said Liam Lazare, who was on percussion. For their comeback show, the Ióhseres squad wore face paint. There were many reasons for the way they presented themselves, said bassist Kyle Williams. “It was a matter of tradition in the sense of certain kinds of rock and metal music having a theatrical presentation, as well as being about the music. It has ties to our actual cultural roots as well, when our people would use it to be scary in battle or for a powwow,” Williams said. Some members had red and black paint, others black and white with tiger stripes. It was quite a sight and added to the vivacity of the group’s performance. “In my mind the idea of a theatrical performance in music and why our ancestors would wear the face paint is very similar and it is also something that can change overtime,” Williams added. It was J. D. Saylor’s debut with the band, famous for his role as Harry Potter in “A Very Potter Musical,” it was something he truly enjoyed and was able to channel his passion into. “This one was really fun for me because it was my kind of music, and it all just sounded great when we played,” said Saylor, who had already developed a stage presence. He put his metal expertise to the test by writing two of the band’s brand new songs, “Valkyrie” and Endless “Night.” Naturally, these are J.D.’s favorites because he wrote them. “I wrote Valkyrie to be as badass as possible and I wrote Endless Night to be as epic as possible. To play them live and hear them and the way the crowd responded means I can pretty much die a happy man now,” added Saylor. Nick Lahache had a commanding voice on stage as Deer and Lazare hammered away on drums. The last song of the show was “Endless Night,” Saylor said, of the tune about “a vampire’s ruin as he goes through eternity alone.” But what the audience didn’t know was that there was a surprise finale. That was when they began to play Iron Maiden’s “Rime of the Ancient Mariner” and “Painkiller” by Judas Priest. It was a spectacular finish and a great way for Ióhseres to proclaim its return to the community.